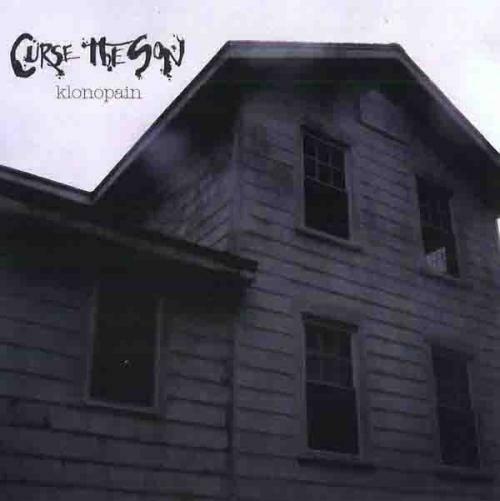 Klonopain, the debut full-length album from Connecticut's Curse the Son, is a retro-Doom enthusiast's dream. The bearded trio who comprise Curse the Son (Ron Vanacore - vocals/guitar, Cheech - bass, and Charles Nicholas - drums) proudly incorporate the juiciest elements of Sabbath-inspired groove and Sleep-induced drone to craft a nod-worthy tribute to the power of the riff. Vanacore's heavily distorted guitar forms the backbone of the Curse the Son sound. Far from flashy, his style is centered upon delivering groovy, melodic riffs without the distractions of solos or unnecessary theatrics. Now and again, such as during the final minutes of both "Unbearable Doer of Wrong" and "Hemicrania Continua", Vanacore adds a bit of a post-metal sound to the mix as yet another means of keeping the groove fresh and interesting. The title track, an epic instrumental journey brimming with interesting synthesized effects, still never loses the hypnotic groove that is the bedrock of each song on Klonopain. The pacing on the album varies between the head-bobbing "Unbearable Doer of Wrong" to the almost painful, glacial pace of "Globus Hystericus". Even the slowest and seemingly most disoriented of the songs (I'm looking at you, "Y?") never give up entirely on the warm rhythms that Vanacore has painstakingly perfected, making Klonopain an appealing album from start to finish. With the guitar featured so prominently in Curse the Son's arsenal, it's almost too easy to lose track of Cheech and Nicholas. Like Vanacore, neither possesses a style that is overpowering or flashy yet both ably display their mastery of Curse the Son's formula. Nicholas abstains from flooding the mix with the amount of cymbal one typically associates with Doom these days, but his presence is nevertheless formidable. Cheech tends to blend with Vanacore's massive riffs, but there are a couple of points on the album ("Unbearable Doer of Wrong" and "Pulsotar Bringer", in particular) where he's offered the opportunity to rumble out a few clearly audible notes. Although four of the seven songs on Klonopain were originally released in 2009 as Curse the Son's debut EP Globus Hystericus, they've been reworked in such a way for the full-length that there's practically no way to distinguish them from the three newer compositions. The end result is an album of quality Doom in the old-school tradition, free of any sludgy infiltration, with traces of post-metal intrigue. This is Ron from Curse the Son. We have a new album "Psychache" that is out now! Thanks for the great review! Good to hear from you Ron. I haven't been able to get my hands on a copy of "Psychache" as of yet, but when I do a review will be sure to follow!